Jorgen the Blacksmith reached into a storage chest behind the counter of his shop and pulled out a small parcel wrapped in leather. 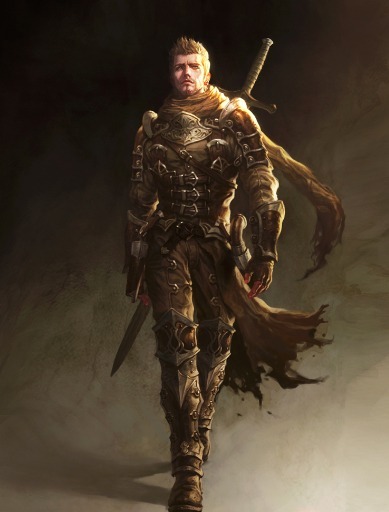 Carefully, he unwrapped a dagger that made Dany and Alaria gasp slightly – it was a Dragon Tooth Dagger, and appeared to have been pulled directly from the mouth of a dragon. Dany reached for it greedily, but Jorgen pulled back and held up his hand to first deliver a warning. “Mind you, be careful with this dagger! It came from a real Copper Dragon, you can see at the gum line where the copper hue shines through. Causes acid damage, it does,” Jorgen said before carefully handing it over to Dany for inspection. 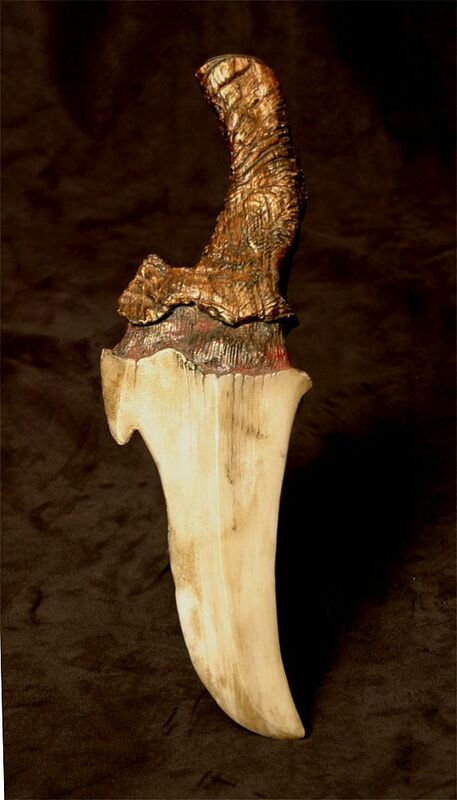 The dragon tooth used for this dagger was not the longest in a dragon’s mouth, but still looked quite menacing. She gripped the handle and swiped at an imaginary foe. Perhaps this might improve my close-range combat skills, Dany thought to herself as she lashed through the air. Alaria was ready to be in a battle. Anger and revenge had been brewing within her fiery eyes ever since she learned of the attack on Water’s Edge and the death of She’i. She couldn’t wait to start killing off the army of the Sun Wizard. Alaria inspected the bow and and envisioned skewering three Sun Wizard soldiers at once. 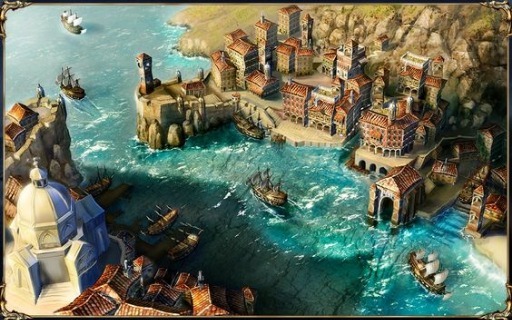 After paying 200G each for their new weapons, Dany and Alaria made their way back through the streets of Wave Crest to the slip where the Pride of Drachen was moored. Guards and soldiers from the Midnight Ring were loading crates of weapons and supplies onto the ship. “Hey!” the duo heard Bikira call out to them as they approached the ship. “There’s a great weapons shop in this town, did you find it?” Dany and Alaria showed off their latest acquisitions and they all admired one another’s purchases. Even Alaria seemed a little perked up, but her grief was still quite evident. Dany and Bikira exchanged uneasy glances as they boarded the ship. There were still more than ten days to sail until the Pride of Drachen would arrive at Toril. With no more stops on the itinerary, the Midnight Ring fighters were encouraged to train and practice their battle skills during the journey to pass the time. Bikira, as a teacher of the arts of war, took to the daily training regimen well. Alaria remained disinterested in anything besides finding more dragon whiskey. She stayed below deck most of the time, hiding between barrels to avoid being reprimanded by higher officers on board. Dany was absent from the training sessions as well, because she became violently sea sick. She spent most of her time heaving and was avoided by everyone on the ship. As the days went by, cabin fever was starting to set in upon everyone on board. Anxiety was building as everyone considered where they were going and the upcoming mission. A lot was at stake. And a lot could go wrong. Dany had lost track of how long they had been on the ship. Hanging over the edge of the deck, she spit out fire into the sea and wiped her mouth. Breathing in deep, she closed her eyes and tried to calm her rolling stomach. Alaria patted her on the back, feeling bad for her partner. She finally decided to emerge to the top deck after spending a long time in her self-imposed isolation. Bikira had finished a training session and joined them on the deck. Looking out at the skies, Alaria saw dark clouds stirring up miles off on the horizon. “That doesn’t look good…” she said quietly. Just then, Ezra showed up on the deck and joined them. She could see their dejected faces, like most of the people on board, and wanted to start getting them revved up for their mission. Ezra led them below deck to the captain’s quarters where there was a large wooden table and unrolled a canvas map of the region. Hendricks was already there, studying a smaller map, and walked over to listen. Almost on cue, an unfamiliar soldier walked into the room looking for Ezra. “Ah – speaking of which! Here is Tank, he’s leading another scouting party,” Hendricks said. Ezra handed him a rolled up map. 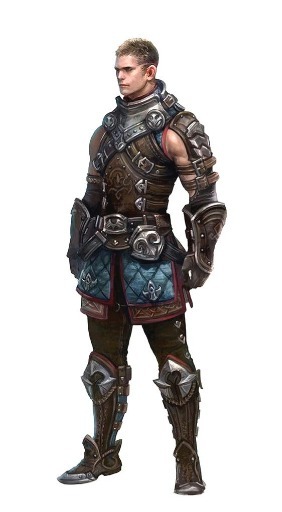 He was a proud looking sort, a muscle-clad white human, who seemed to be avoiding standing near the Dragonborn members of the party. 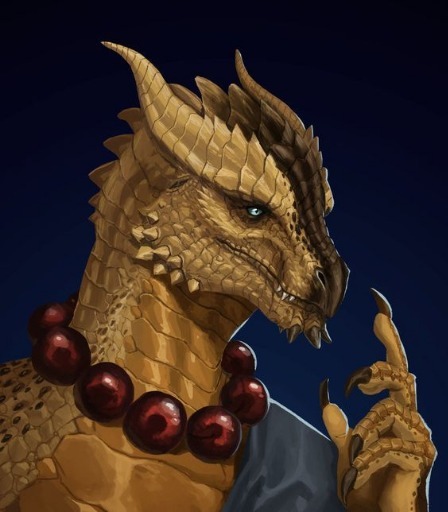 Bikira snarled at him and he flinched. “Pleasure to meet you all,” Tank said coolly, focusing his gaze on Hendricks and Ezra. He took the map, turned and left the room. “I think we should head for Terminous Rock,” Ezra said, returning to the map on the table and trying to ignore the awkward situation that had transpired. “Don’t worry Dany, we’ll be back on solid ground tomorrow.” Everyone chuckled. The following evening, the sun had already set when the anchor was laid. The two scouting parties rowed to shore. Tank hastily rushed his team off of the beach and into the forest, wanting to lead the way for everyone else. Dany shook her head at him. She took a moment to breathe and get re-centered, now that the rocking motions of the water had finally stopped. Bikira lead their party into the woods, but as quiet as Dany tried to be, she managed to loudly snap a twig as they were walking. Suddenly a loud screech echoed through the woods and a small herd of wild boar rushed in a stampede towards them! Everyone took damage from the impact, and dusted themselves off. Then they heard the real screams of people in the forest, where Tank’s team had soldiered ahead. “The Orcs are attacking!” was all that they could discern from the hollering. Bikira, Dany and Alaria all grabbed their weapons and readied themselves for battle. They moved forward through the forest and started to see blood splatters on the leaves of trees and bushes. They paused and gasped when they came upon a bloodbath: all of Tank’s scouting team had been butchered. “I see non-human blood heading in that direction…” Alaria whispered to Dany and Bikira. She motioned with her horned head that they should proceed towards the black blood to find the Orcs. 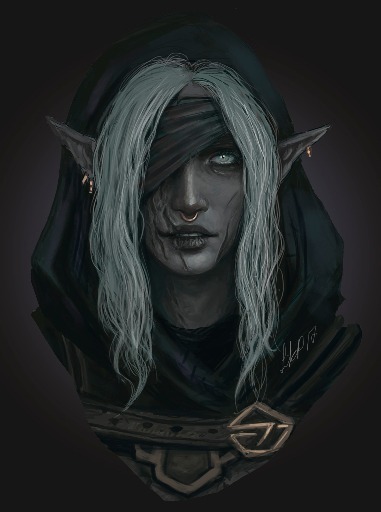 Creeping onward, Alaria saw a wounded Orc limping alone through the trees. She readied her new Piercing Crossbow and shot the Orc. Upon impact, it howled loudly in pain. Several Orcs roared in response off in the distance. They growled and howled as they ran quickly towards the remaining scouting party. Dany held her crystal orb with both hands and felt it heat up with intense flame. She formed a massive Fireball and blasted it towards three oncoming Orcs that were running toward them. The explosion from the spell roasted all three of those Orcs at once, and Bikira was impressed. She clapped sarcastically and they laughed for a brief moment, until they heard another loud roar of an Orc approaching. A giant Orc Leader burst through the trees and ran towards the scouting party. Behind him, four more Orcs appeared. Spreading out, Alaria headed for cover and shot at an Orc. Dany ran straight for an oncoming Orc and stabbed it with her Dragon Tooth Dagger, and watched as the acid from her new weapon ate away at the flesh of the wound. Bikira decided to pursue the Orc Leader, who was moving towards a broken stone building on a small hill hidden in the woods. 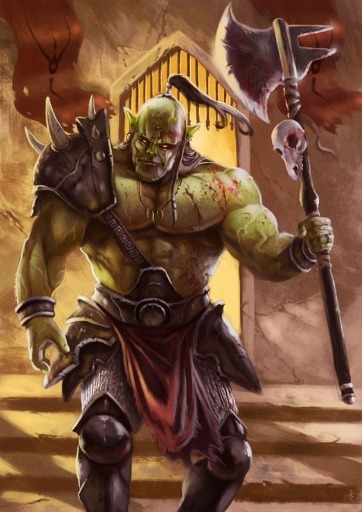 Using her own crossbow, Bikira landed a solid hit in the Orc Leader’s shoulder and he groaned in pain. From her vantage point, she could see that the Orc Leader was moving closer to a large crystal slab that was hidden in the stone ruins. Unfortunately, Bikira did not know the history of the crystals and was unaware that there was massive magic power within that slab! Instead of trying to shatter the crystal, she continued to aim her shots at the Orc Leader. He threw a giant spear at her in response, causing damage of his own. Dany was accustomed to her thick scales being too tough for enemies to hit her very hard. However, she had never fought Orcs before and found them to be very strong. 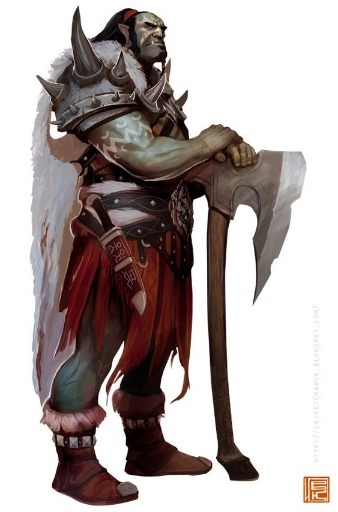 The Orc smashed at her with his axe and she doubled over in pain, but not before slamming her dagger into it. The Orc collapsed into a heap as the acid continued to burn it’s dead body. But Dany had no time to rest, as another Orc heaved it’s axe into her back for another hard hit. Alaria was having a better time with her new Piercing Crossbow, and sent bolt after bolt at the Orc attackers. One of the Orc ran at her and tripped over a rock, sending it flying. Meanwhile, Bikira got closer to the crystal slab. She knew that something would need to be done with it. She grabbed a stone and threw it at the slab, but nothing happened. The Orc Leader came closer to the crystal slab hiding in the stone ruins, and then howled out a long, strange roar that was low and ominous. It echoed through the forest, and everything became still. After a brief moment, as though hypnotized, the remaining Orcs chanted back the same low tonal sound, sending chills down Dany, Alaria and Bikira’s spines. A magic spell had been cast… but what did it mean?